TVR have selected their national finalists. 67 potential entries have now been cut down to 13. 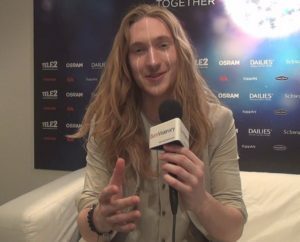 These 13 finalists will compete in a national final held before the end of January, and the winner will represent Belarus at the 2017 Eurovision Song Contest. TVR, the Belarusian radio company put on the auditions together with BTRC. Auditions took place yesterday in Minsk where 67 acts had to be reduced. The lucky 13 then made it to the national final after being selected by an expert jury. Entries have come from as far as Nigeria. European countries do also feature, particularly Ukraine, Latvia and Russia as well as of course Belarus. Among the selected finalists are Navi, Nuteki and Napoli. These 3 acts are regular national final competitors. Napoli has surprisingly also entered the 2016 Turkviyzon with the song Masal Gibi Bu Dünya (This world like fairytails). Navi and Napoli last competed in the 2016 national final, then Nuteki entered in 2014. Belarus have competed in Eurovision since 2004. Out of their 13 appearances unfortunately only 4 of them made it to the grand final. In 2007, Belarus were represented by Dmitry Koldun and the song titled Work Your Magic. This is the only entry for Belarus to make it into top 10. It placed 6th with 145 points. The other final qualifications came in 2010, 2013 and 2014. In 2015, the 2009 winner Alexander Rybak expressed an interested in representing his birth country of Belarus as a song writer. He composed a song called Accent, and formed the group who were called Milki. Despite being the favourite to win the national final that year, they only placed 4th over all.